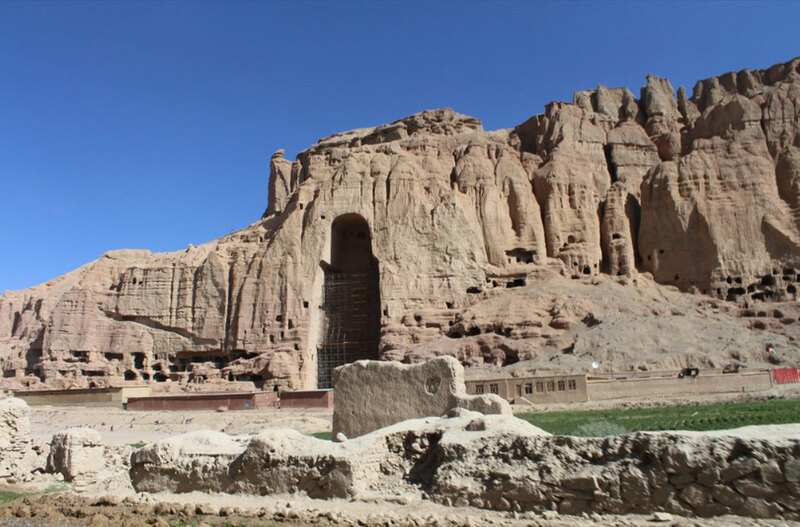 The West seems to have suddenly woken-up to Muslim fundamentalism in South Asia when the Taliban broke down the Bamyan statues, in spite of frantic appeals from all over the world. But there is a bit of hypocrisy in the outrage triggered by this destruction. Firstly, Islam is very clear about statues: didn’t the Prophet Mohamed break down himself the first stone Gods ? Thereafter, it became a holy duty for all good Muslims. Firuz Shah Tughlak (1351-1388) who has an avenue named after him in New Delhi, wrote: “on the day of a Hindu festival, I went there myself, ordered the executions of all the leaders and practitioners of this abomination; I destroyed their idols and temples to build mosques in their places”. As Belgium historian Konraad Elst points out, “Muslim fanatics are merely faithful executors of Quranic injunctions. It is not the Muslims who are guilty, but Islam”. Thus, the Taliban, who want to restore the early purity of Islam, really thought they were performing a righteous act by destroying the “heathen” Buddhist statues. Secondly, does the West ever protest when Hindu temples are destroyed periodically in Bangladesh and Pakistan? The HRCBM, a Santa Clara-based organisation that investigates and exposes human rights violations in Bangladesh, has recorded a few of the outrages against Hindus in Bangladesh during the year 2000: On March 29, 2000, Malarani Roy of Karagola village was abducted by Muslims. She was brutally beaten up and gang-raped. The local police found her, but refused to register a case. On June 26, a group of Muslims directed Smriti Rani Saha of Sirajganj town to migrate to India. When she refused, she was abducted, gang-raped and brutally murdered. On May 28, Debasish Saha of Poradaha was fatally shot by a Muslim gang. On June 4, Mayaram Tripura of Balipara was shot dead by local Muslims. On October 6, 2000, Muslim devotees, after offering namaaz at the Gajipur Jama Masjid, strolled across to the Hindu Kali temple, destroyed the puja pandal, smashed the idols, and looted nearby Hindu-owned shops. Take a look at the figures of the Hindu population of India’s Muslims neighbours: in 1941, there were approximately 25% Hindus in Pakistan and 30% in Bangladesh; in 1948, only 17% in Pakistan and 25% in Bangladesh; in 1991, a bare 1.5% remained in Pakistan and less than 10% in Bangladesh. Thirdly, the West has not yet realized that for the Muslims of South Asia , Hindus are the Kafirs by excellence: the Buddhists adore only Buddha, the Christians only Jesus, but Hindus worship a million Gods and Goddesses; and that makes them – even today – the number one enemy of Islam. This is why Kashmir is so important: it is not about territory, it is about a Holy war against Hindu India that has been going on for fifteen centuries and it is only the first step of the encirclement of India by hostile Muslim neighbours: Pakistan, Afghanistan, Bangladesh, with soft nations, like Nepal, often lending them a helping hand. Nothing symbolizes more the absoluteness of Muslim belligerence towards Hindus than the Hindu Kush. Historically, the passes across the Hindu Kush have been of great military significance, providing access to the northern plains of India to foreign invaders, starting from Alexander the Great in 327 BC, to Timur Lane in 1398 AD, and from Mahmud of Ghazni, in 1001 AD, to Nader Shah in 1739 AD. As noted by Srinandan Vyas in the Hindu.net website: ” In Persian, the word ‘Kush’ is derived from the verb Kushtar – to slaughter or carnage, because all Hindus living there were slaughtered. Encyclopaedia Americana says of Hindu Kush: The name means literally ‘Kills the Hindu’, a reminder of the days when Hindu slaves from Indian subcontinent died in harsh Afghan mountains while being transported to Moslem courts of Central Asia. While Encyclopaedia Britannica mentions “that the name Hindu Kush first appears in 1333 AD in the writings of Ibn Battutah, the medireview Berber traveller, who said the name meant ‘Hindu Killer’, a meaning still given by Afghan mountain dwellers who are traditional enemies of Hindus”. “Unlike the Jewish holocaust, writes again Vyas, the exact toll of the Hindu genocide suggested by the name Hindu Kush is not available. However the number is easily likely to be in millions”. A few known historical figures can be used to justify this estimate. Encyclopaedia Britannica recalls that in December 1398 AD, Timur Lane ordered the execution of at least 50,000 captives before the battle for Delhi; likewise, the number of captives butchered by Timur Lane’s army was about 100,000 . Encyclopaedia Britannica again mentions that Mughal emperor Akbar ‘ordered the massacre of about 30,000 captured Rajput Hindus on February 24, 1568 AD, after the battle for Chitod, a number confirmed by Abul Fazl, Akbar’s court historian. Afghan historian Khondamir records that during one of the many repeated invasions on the city of Herat in western Afghanistan, which used to be part of the Hindu Shahiya kingdoms “1,500,000 residents perished”. Why does not the Government of India tell Indian children about the Hindu Kush genocide? The horrors of the Jewish holocaust are taught not only in schools in Israel and USA, but also in Germany. Because both Germany and Israel consider the Jewish holocaust a ‘dark chapter’ in the history. Yet, in 1982, the National Council of Educational Research and Training issued a directive for the rewriting of school texts. Among other things it stipulated that: ‘Characterization of the medireview period as a time of conflict between Hindus and Moslems is forbidden’. Thus denial of history, or Negationism, has become India’s official ‘educational’ policy. It is high time that the West realizes that India is fighting a lonely battle against Muslim fundamentalism in Asia. The French for one, who have a definite problem with Muslim terrorism, should support India more openly. NOTE: The Indian Express refused to carry this column by Gautier, clearly indicating a policy of censorship being applied by the publication.